The Outer Loop of the Capital Beltway was blocked before Old Georgetown Road in Montgomery County. 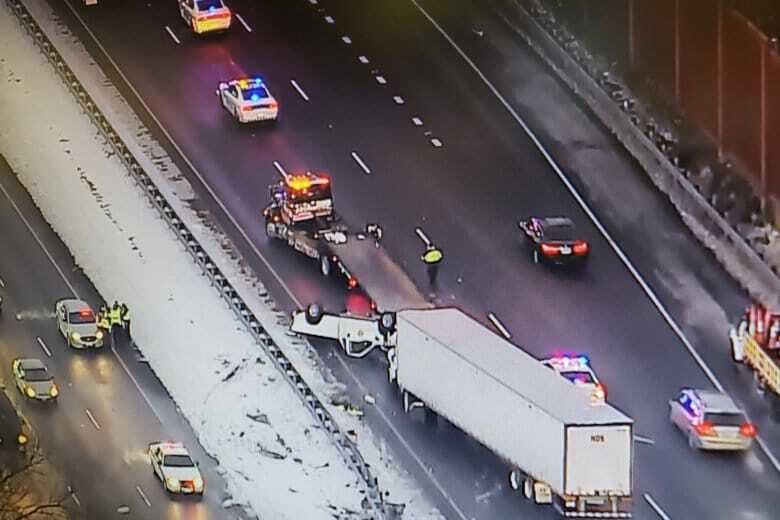 WASHINGTON — A crash that involved two tractor-trailers and an overturned pickup truck with a fuel leak caused an 8 1/2-mile backup for about three hours on the Capital Beltway Wednesday morning. Maryland State Police say that one person was taken to the hospital because of the accident, but the person is expected to be OK.
As of 8:55 a.m., crews have sanded the fuel leak and all lanes of the Outer Loop have reopened. The Outer Loop of the Capital Beltway was blocked before Old Georgetown Road in Montgomery County around 5:50 a.m. Traffic was diverted to northbound Interstate 270, but a right lane is now getting by. Crews have also cleared up debris that fell from one of the vehicles onto the Inner Loop. All lanes have reopened as of 9 a.m.; all but one lane closed for about an hour near Interstate 270 and Old Georgetown Road. 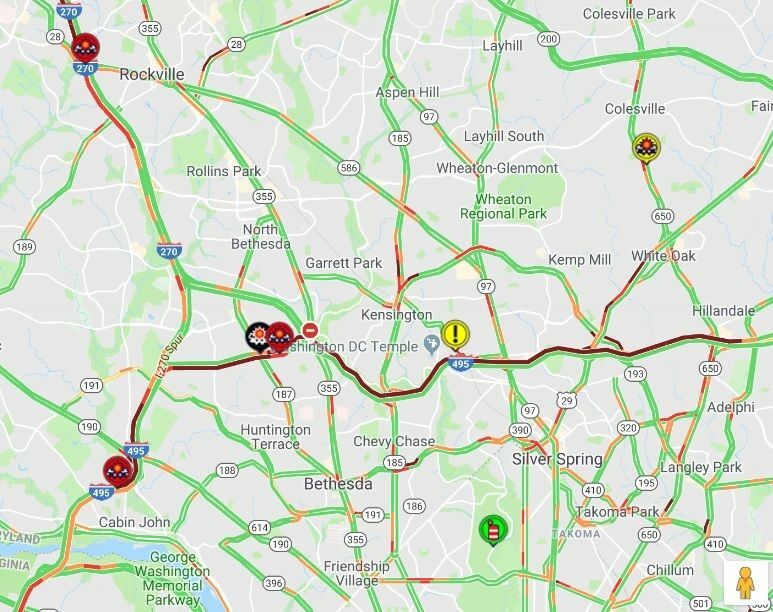 Screenshot of WTOP’s Traffic Map. Listen to WTOP Traffic for the latest information. Stay with WTOP as this story develops.